Five days ago, I headed out on yet another barefoot adventure on the trails of my "backyard" in Chuncheon. I call it my backyard because I live in a dingy but lovable little apartment complex that was built around the time I was born and has been scheduled for demolition this year but has been pushed back until an unknown date in the future. The system of trails starts across the street from the complex and I could jog about 6 or 7 miles without covering the same ground. Thinking of this as my back yard ameliorates the relative value of the apartments where my wife and I dwell. It doesn't increase the value in money terms, but definitely the spiritual value increases. Quick access to the woods makes for a lovely home. Running back there always gets me curious stares from the locals. Going on walks in the mountains is a favorite pastime for many Koreans... if you're over 50. I don't know what it is, but to find young 20 and 30 somethings hitting the trails is unbelievably uncommon. I guess a big part of that can be attributed to the long work hours of the average workforce-aged folks. And the students? Well, if they're not studying, they must be playing soccer or going to the nore bang to belt out the latest ballads. Most of them don't take to the woods for exercise and time away from it all. So, on the trail, I'm likely to encounter people on average who are twice my age, many of whom get a kick out of seeing the big foreigner lumbering down the path. Now that I've taken off the shoes for some of these runs, my status as spectacle has probably been promoted to something people will talk about with their families at the dinner table and get a good laugh. I'm the crazy waegookin running barefoot over the rocky trail. Well, the run was fantastic, again. There was a bit of rain in the morning, and the trail was still a bit damp. It was cool on my feet and kind to my soles and I had a spring to my step. I felt like I could run forever, so I pushed the 3 miles to 5 miles, did some steep hills, and was loving the damp forest and the cushiony pine needles beneath my feet. I came home feeling even better about going barefoot. Two days later, I hit the trail once more sin zapatos. This day, the trail was totally different. It was hard, rocky, and dry, and my feet felt more sensitive than on any of my previous expeditions. I stubbed my toe, and I admit that at the end of three miles I was happy to be done. I started to notice that my achilles tendon on my right back foot was sore and the arch on my left foot felt a bit bruised, and even now, tow days later, both are feeling the residuals of my perhaps over-ambitious, overzealous leaps into barefoot running. But really, what do I expect? I just spent three days of the last week running barefoot over the earth for 11 miles, and add 15 miles onto that in between running in my shoes. My feet are deservedly beat up a little bit, and I'll take the mild aches and pains as a kind reminder to go slowly and with a bit more caution, not abandoning my excitement and zeal completely but tempering it with a modest dash of common sense. It's a bit hard, admittedly. 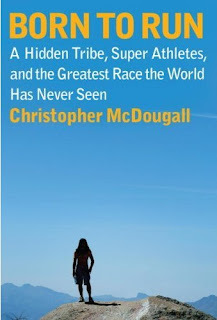 I just finished the book, Born to Run by Christopher McDougall and it has resonated with me deeply. 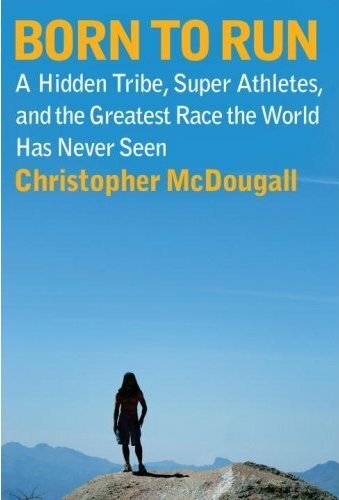 The idea of running not simply as a hobby or an exercise, but as part of what we were physiologically and spiritually created for sounds just about right to me. And the idea of doing it without expensive shoes appeals to the rebel taking permanent residence in my heart. It's almost an expression of "sticking it to the man." haha. 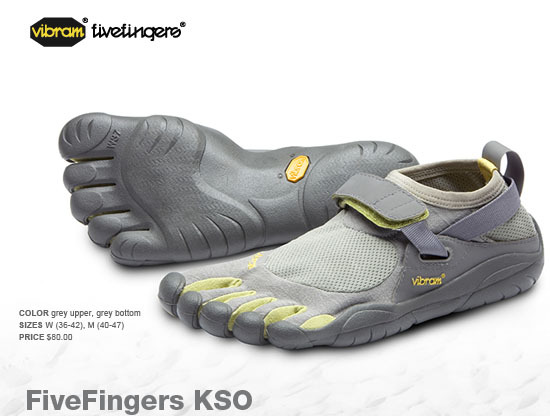 Which is ridiculous, because I just spent over $90 with shipping and handling fees on a pair of Vibram Five Fingers. I stuck it to the man and am getting stuck with a pair of barefoot "shoes" that cost almost the same amount of money. Go figure. I'm a husband, dad, wanna-be writer, wanna-be runner, and a current expat American living in South Korea.